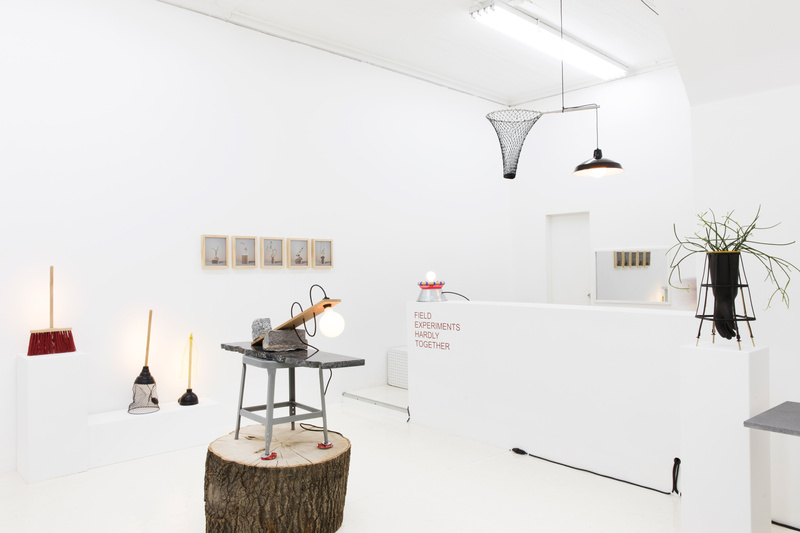 Fundamental to Field Experiments’ process is the observation and documentation of place. 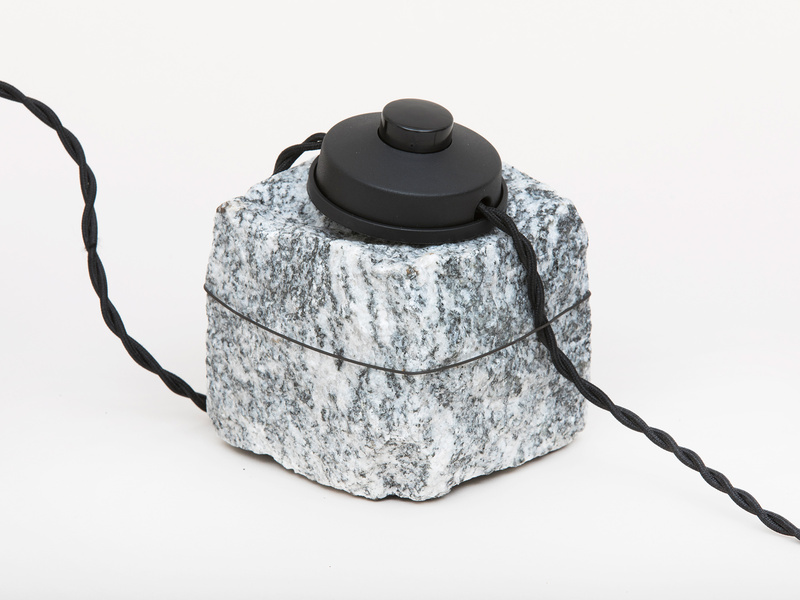 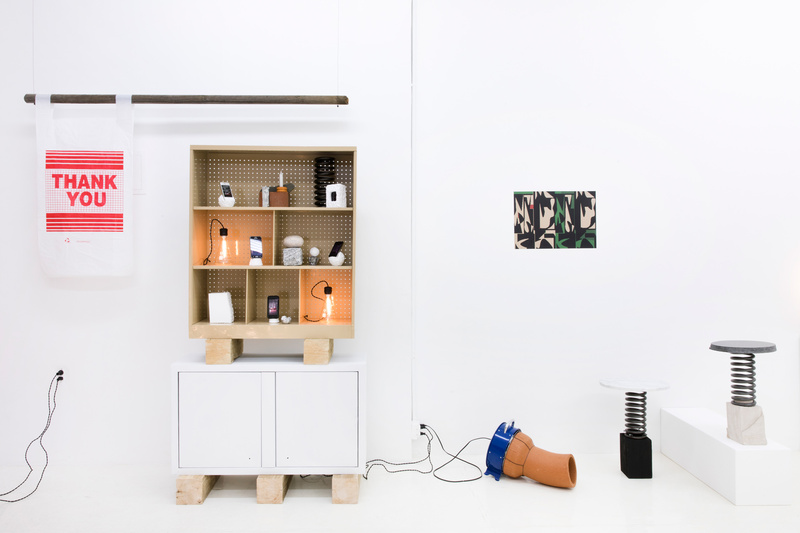 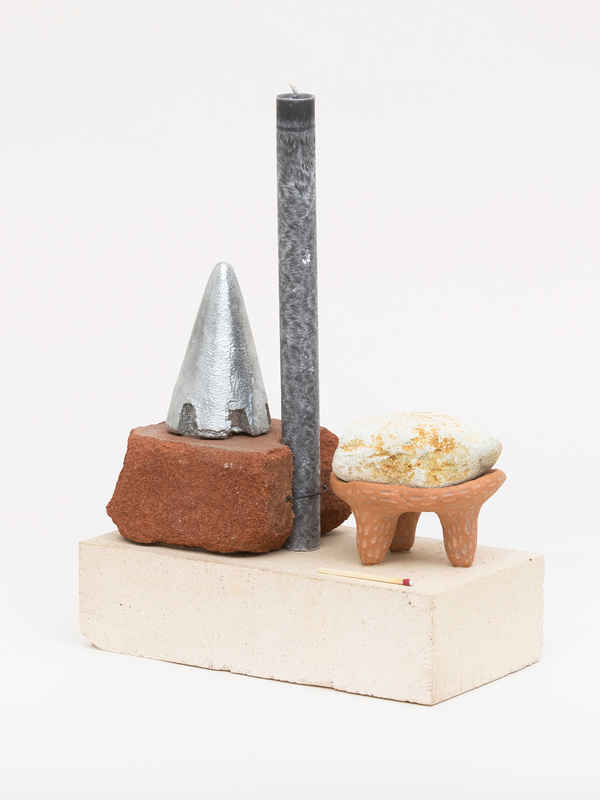 In response to observations, Field Experiments compose objects in the form of conceptual souvenirs. 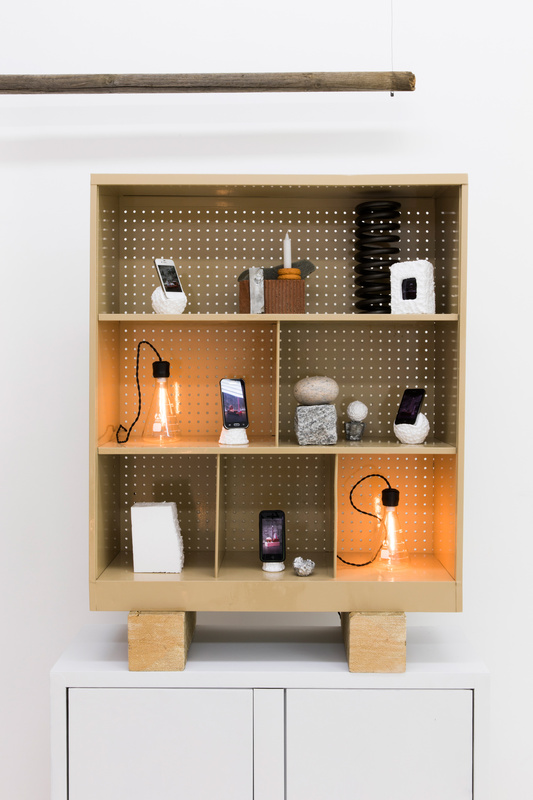 Through collecting, assembling and repurposing, Field Experiments seek to make work that comments on a place’s time, location and people. 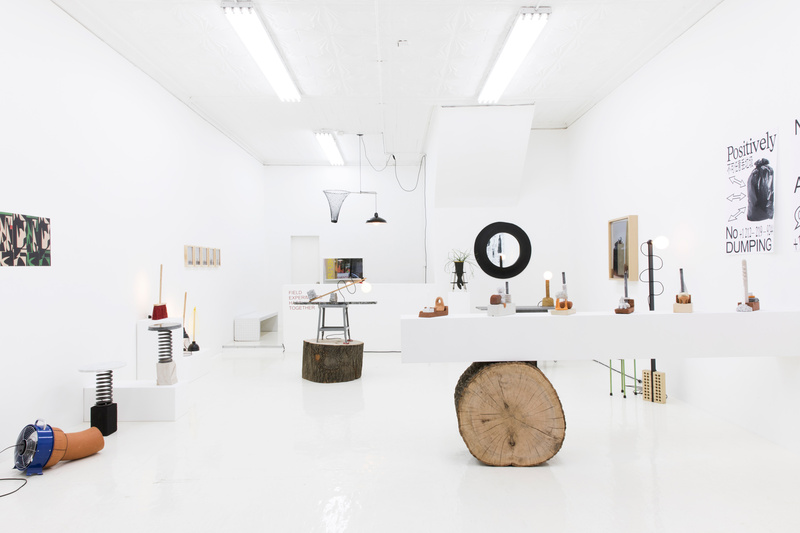 Hardly Together was an exhibition held at Bushwick Gallery, Fisher Parrish in Brooklyn in 2017. 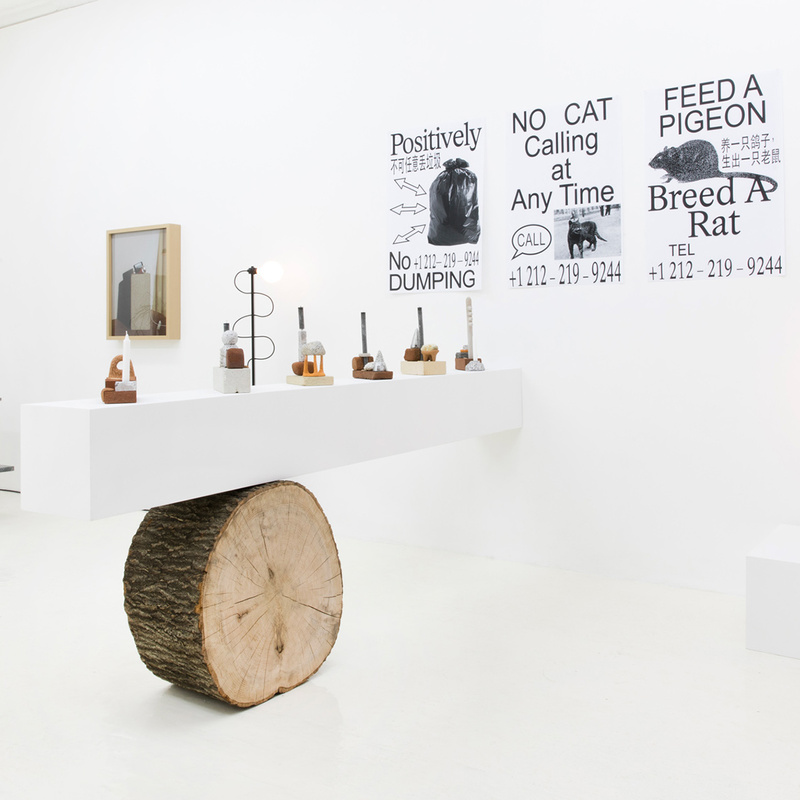 The exhibition was a study on New York City and focused on the tenuous connections and surprising entanglements that Field Experiments uncovered during their research. 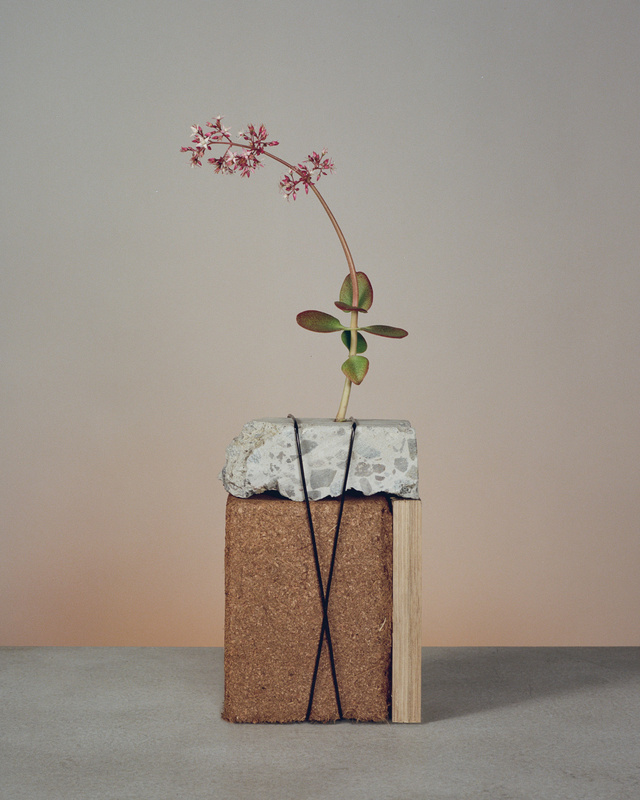 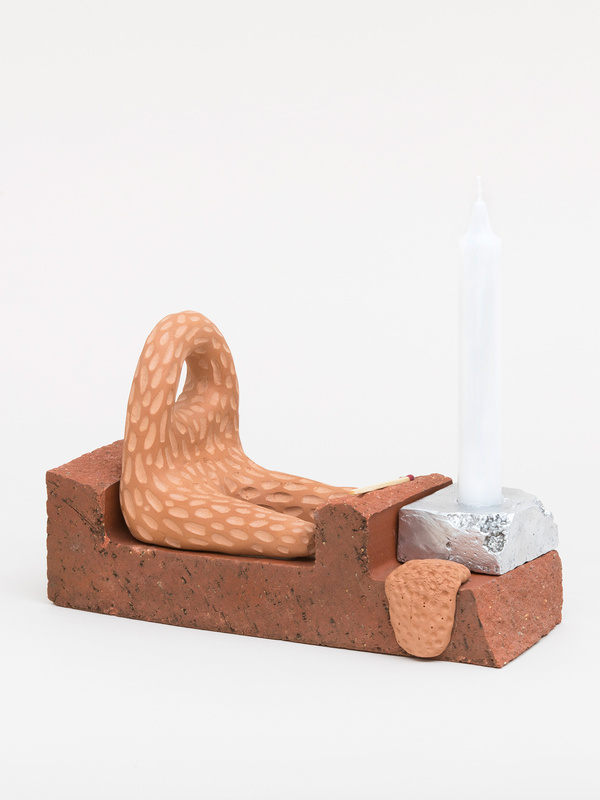 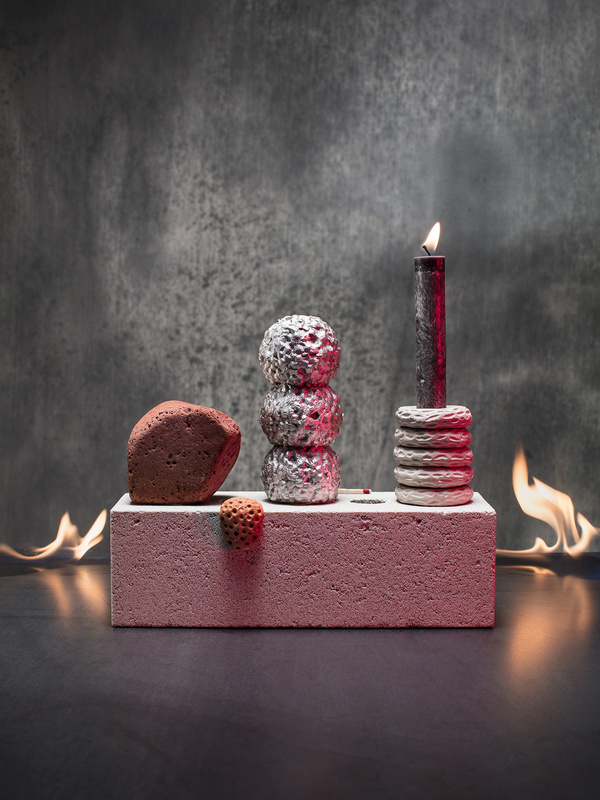 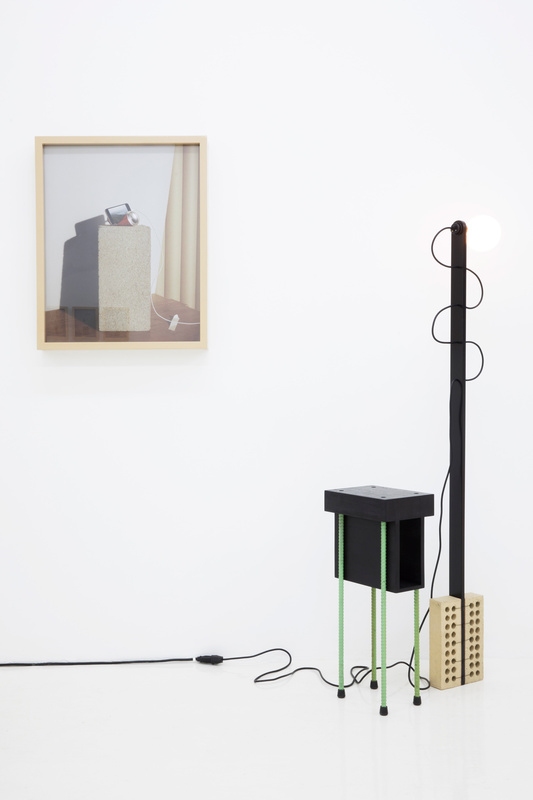 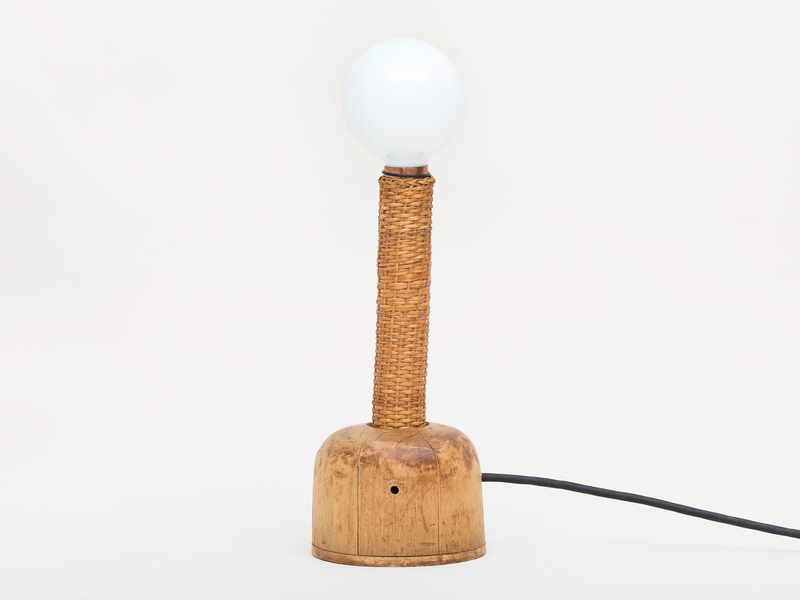 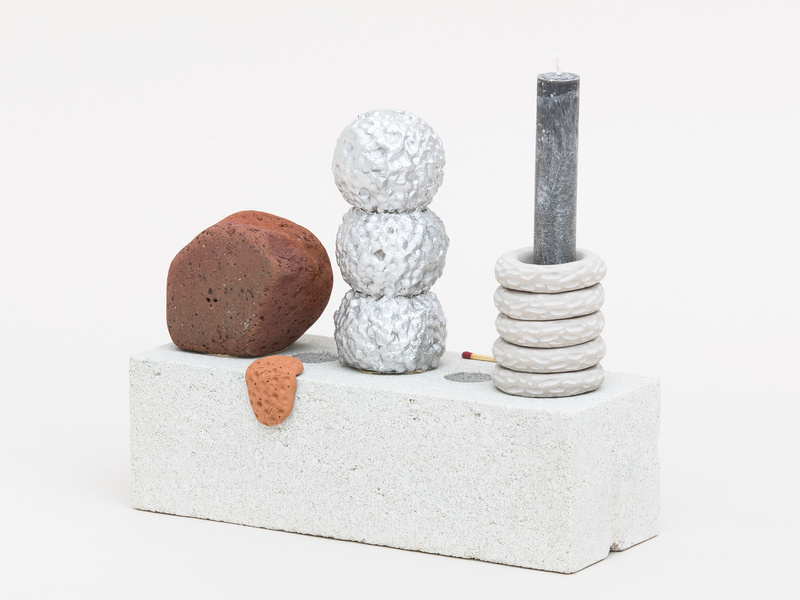 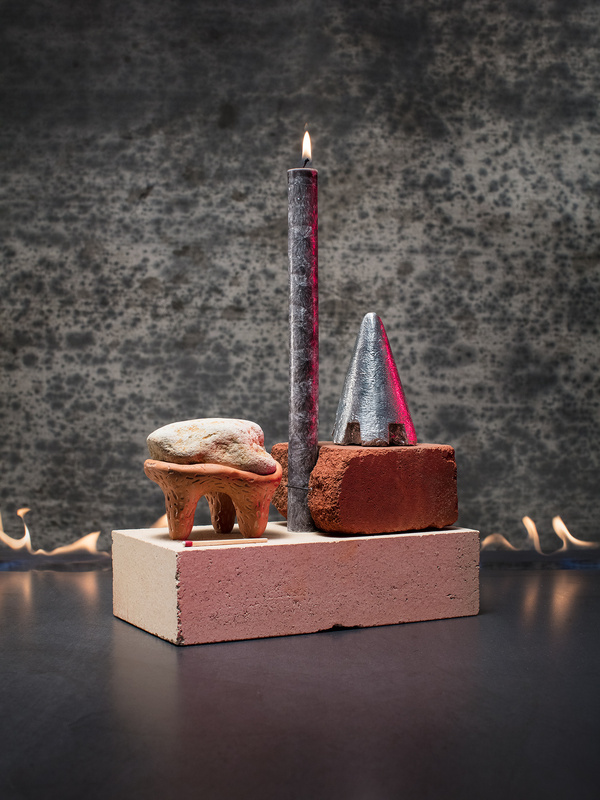 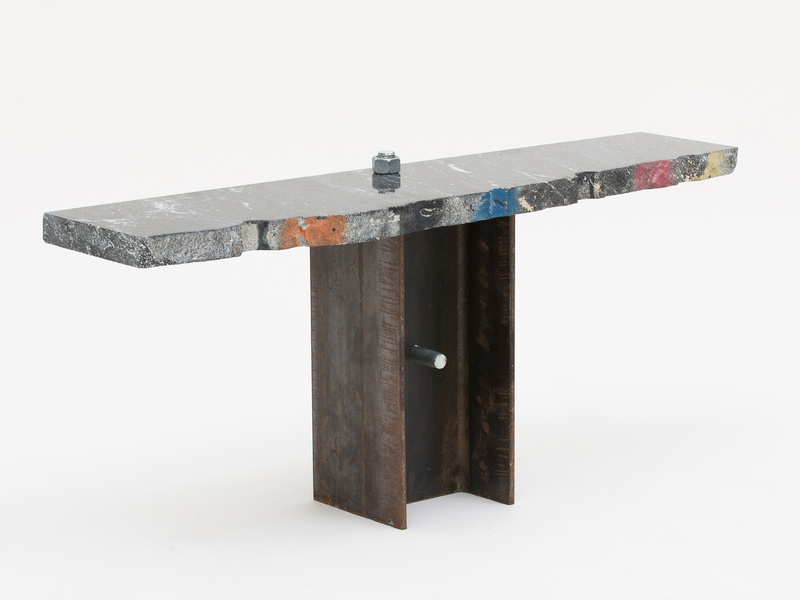 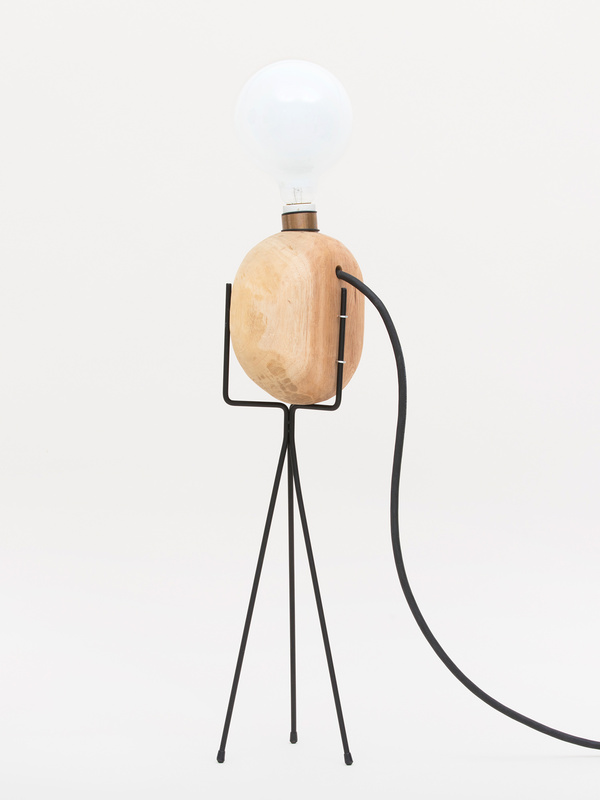 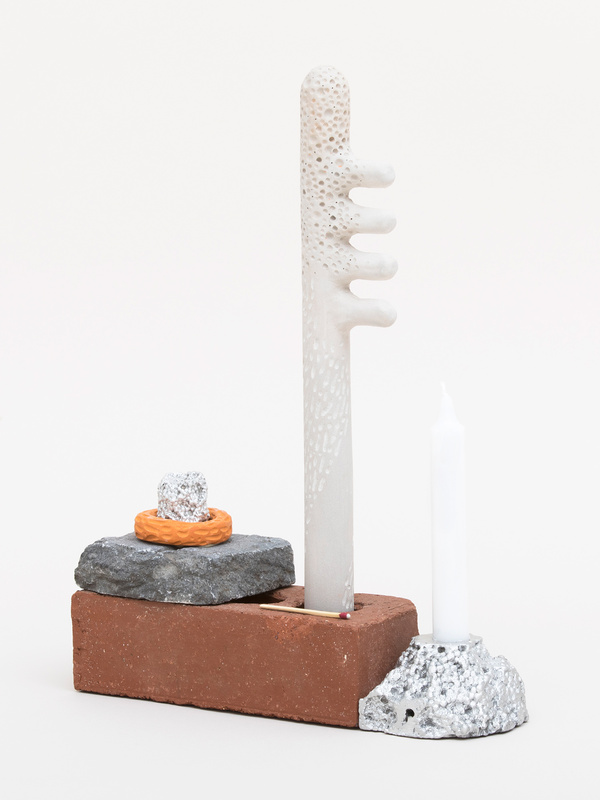 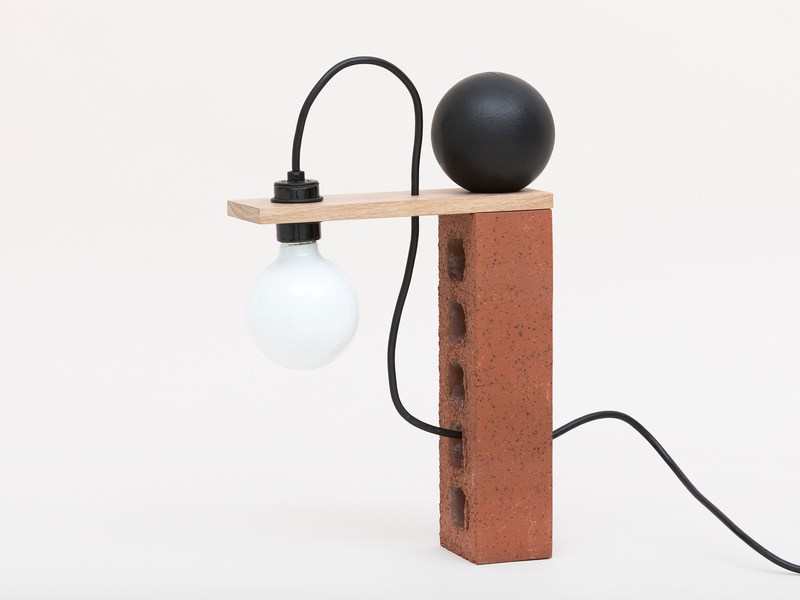 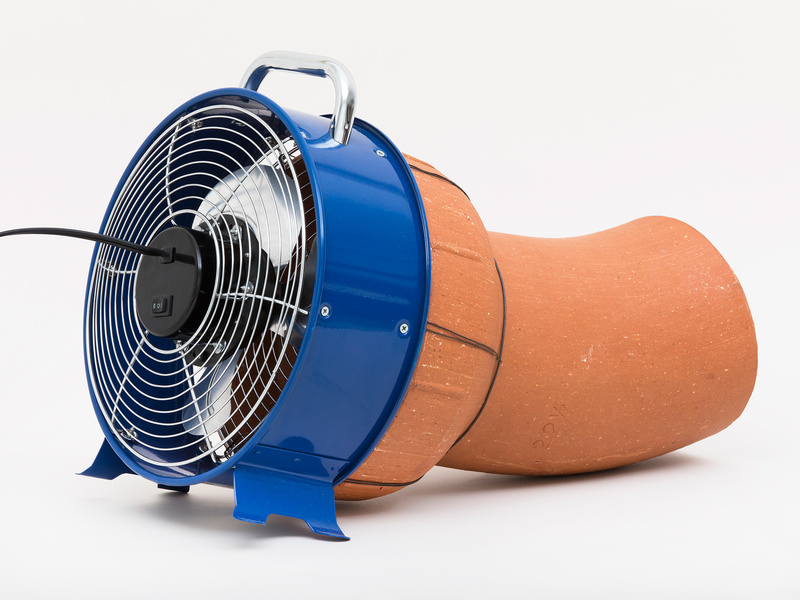 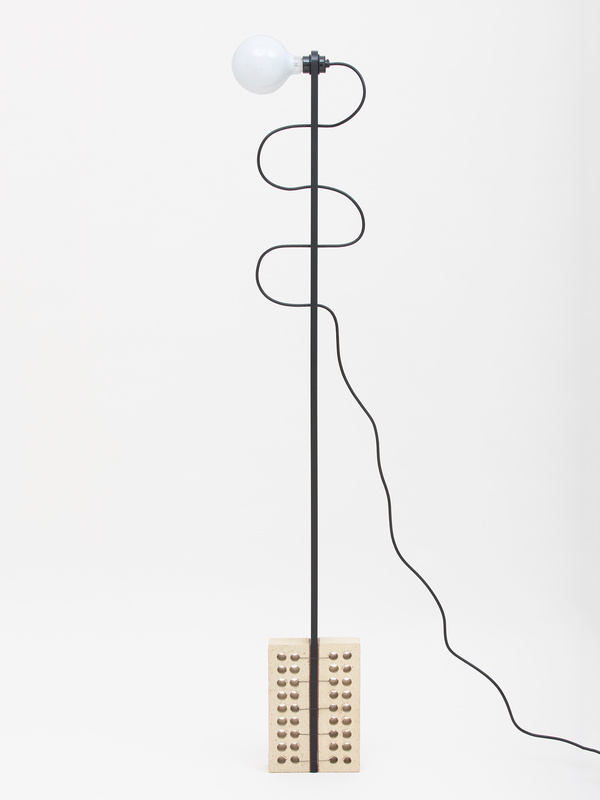 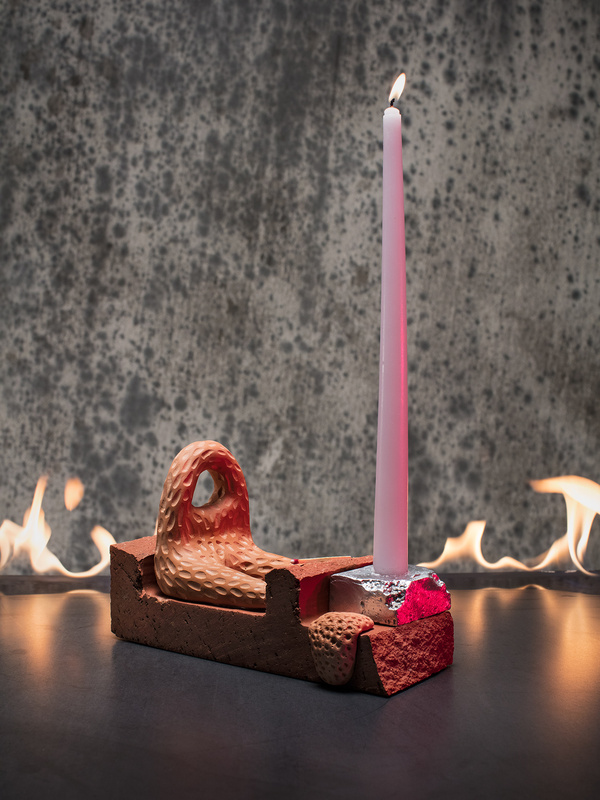 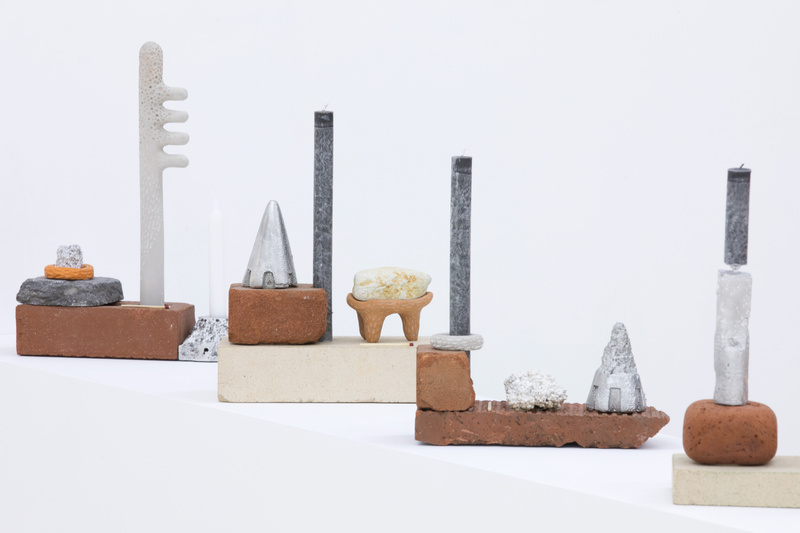 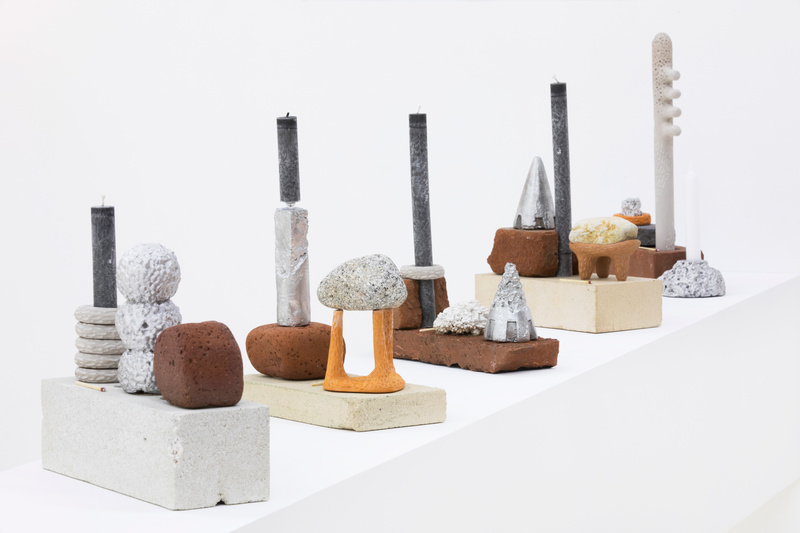 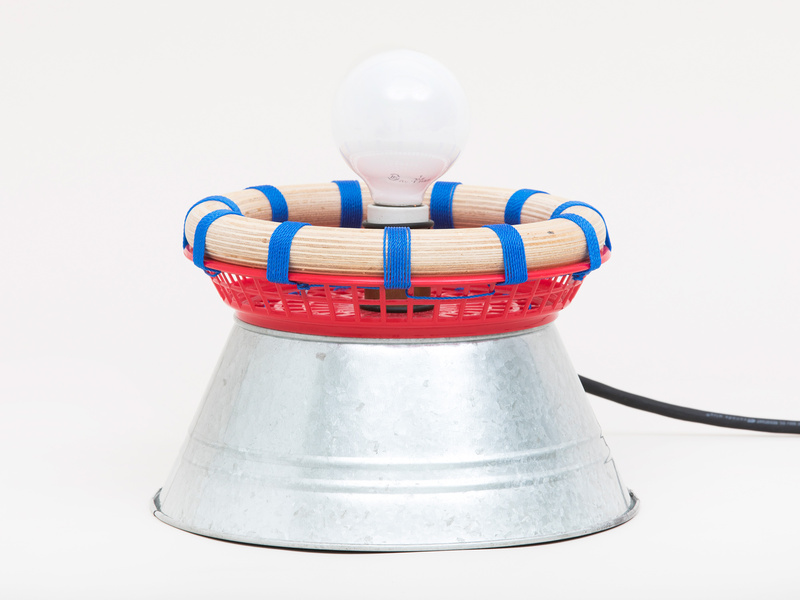 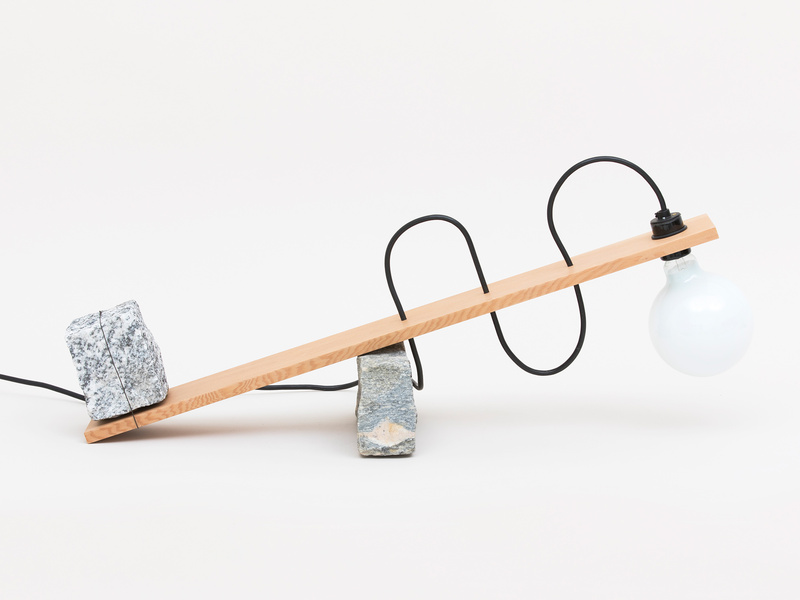 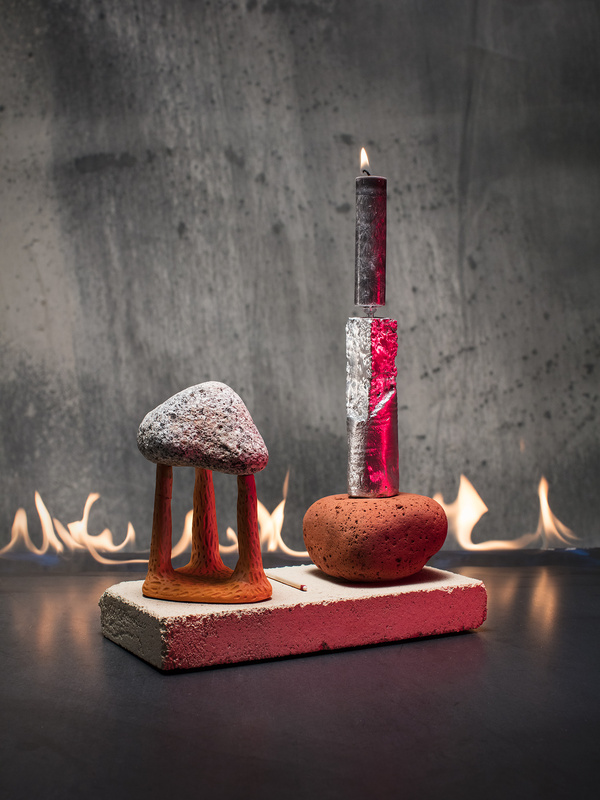 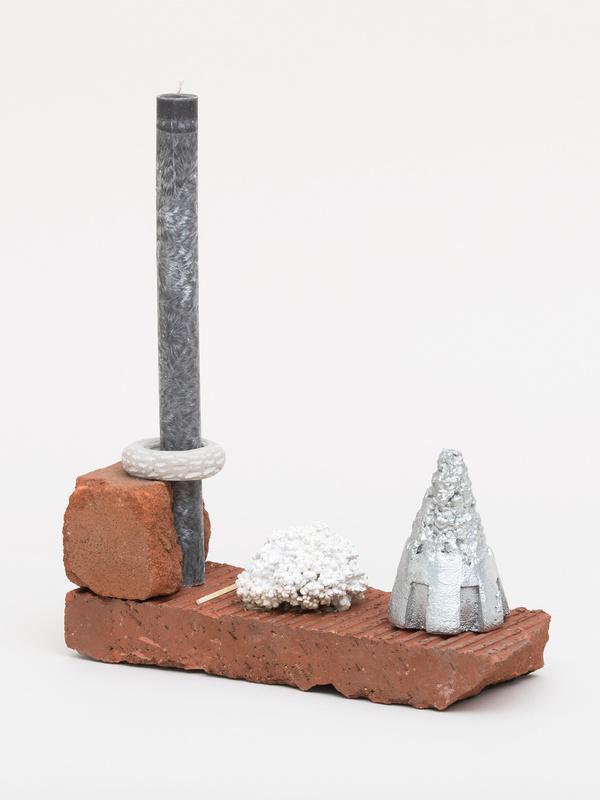 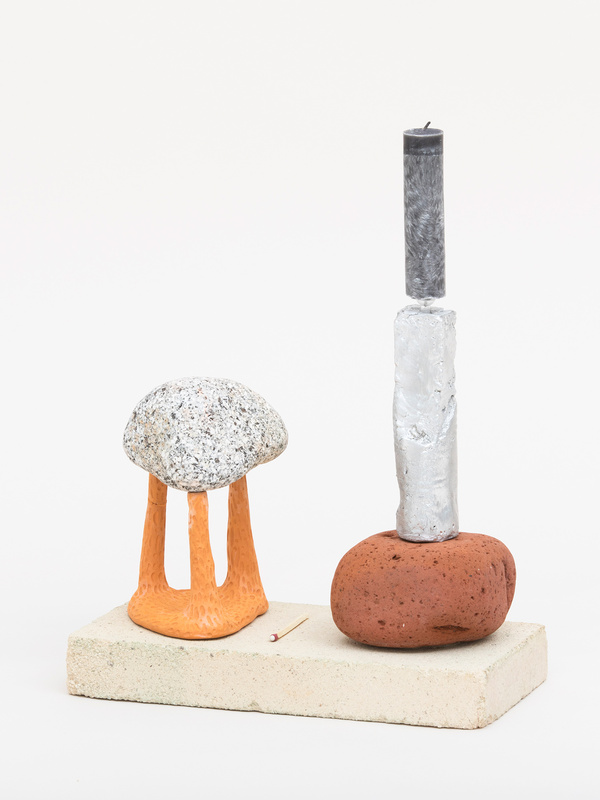 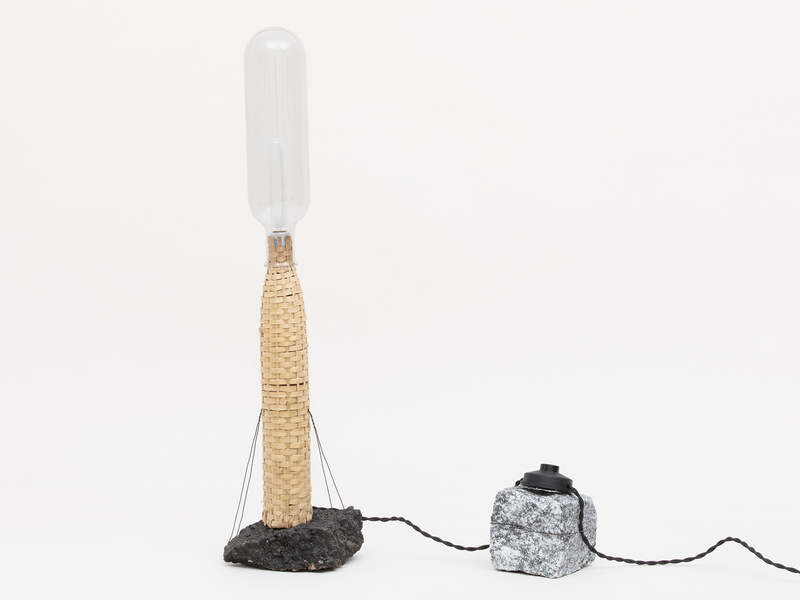 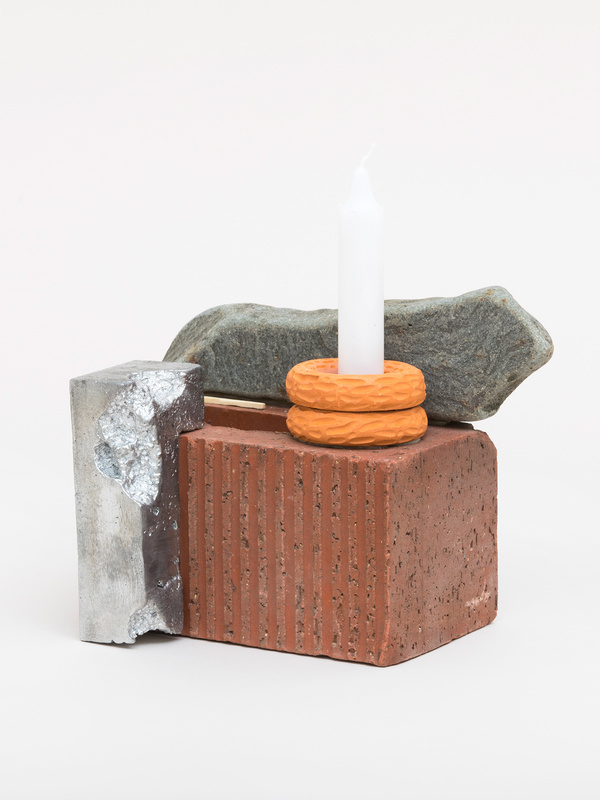 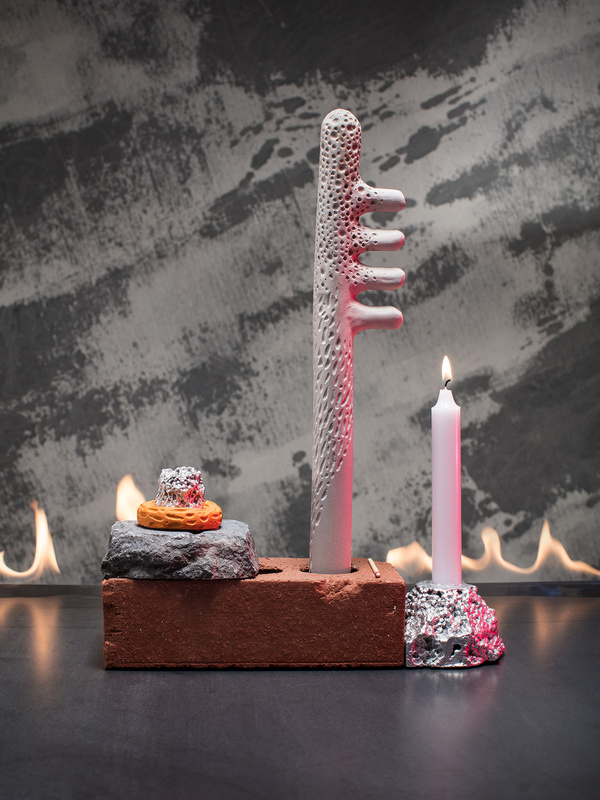 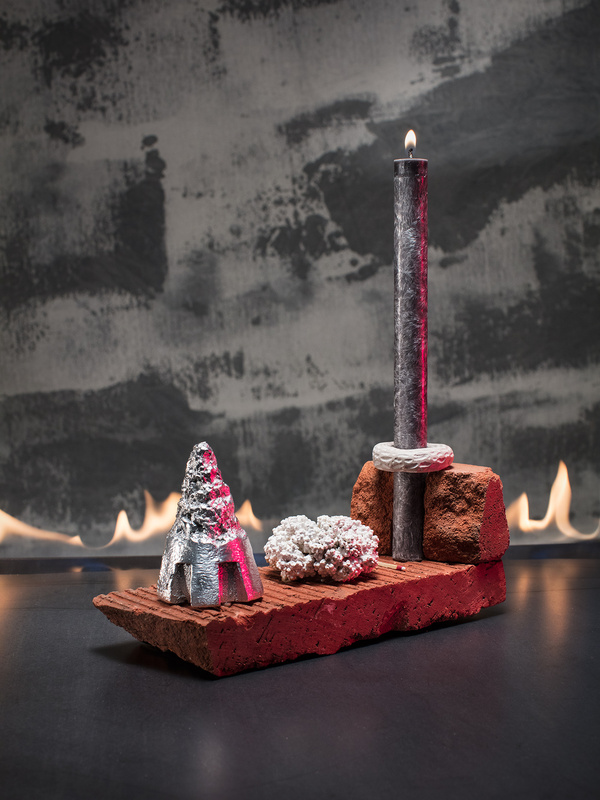 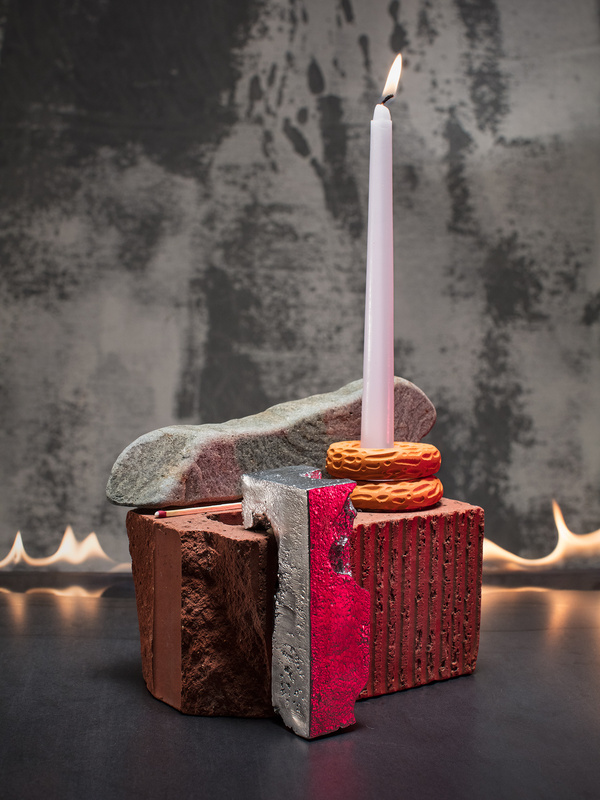 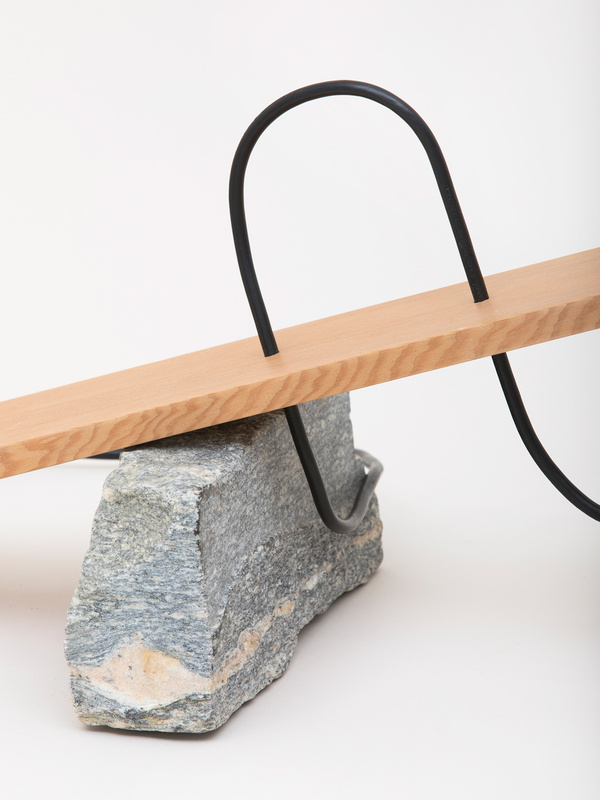 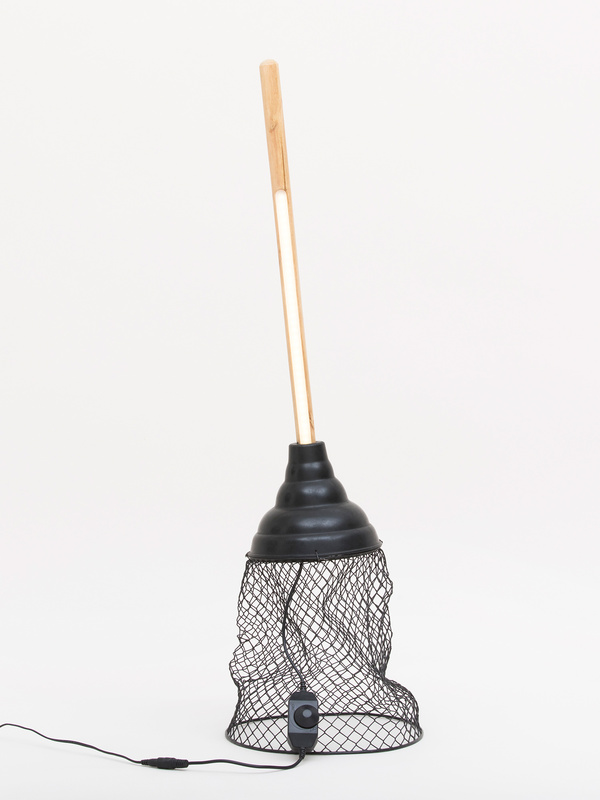 Objects on display are assembled from industrial materials from the Anthropocene age including asphalt, bricks, and cinderblocks; and disregarded objects found on New York streets such a plunger, a tyre and a rubber glove are made functional again. 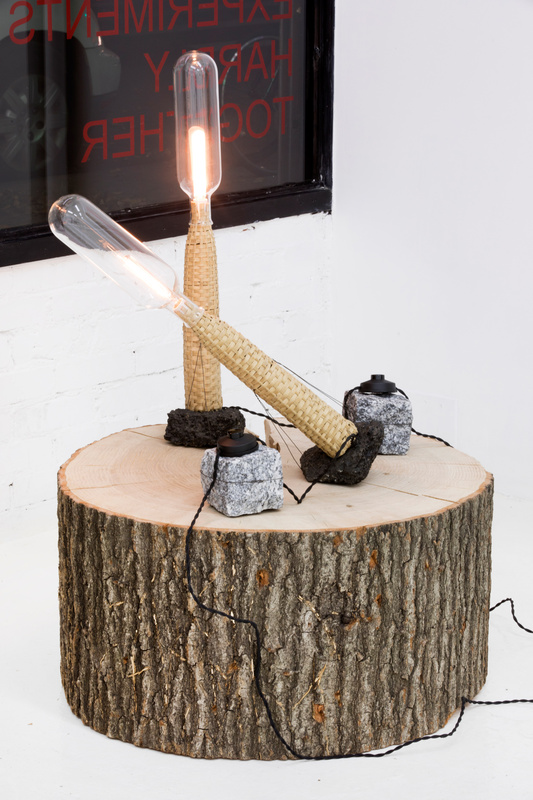 Field Experiments is a nomadic collective established by U-P founder Paul Marcus Fuog along with Karim Charlebois Zariffa and Benjamin Harrison Bryant. 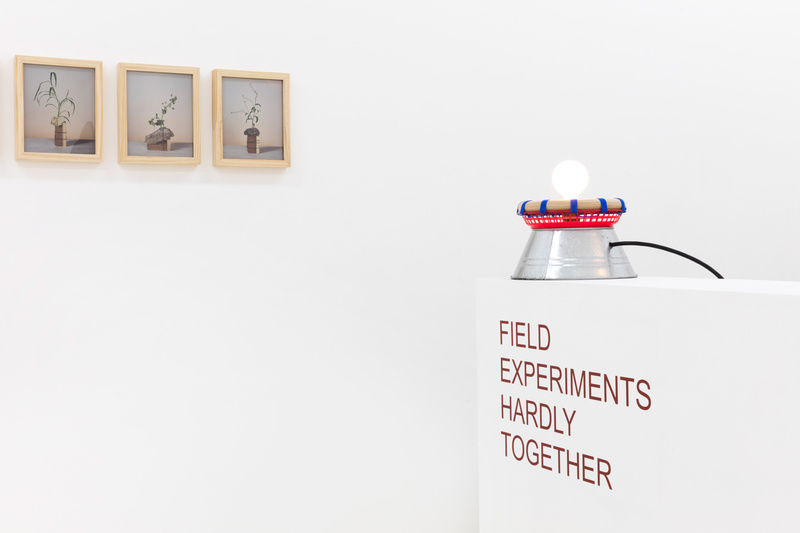 Field Experiments uses collaborative making to explore culture in different regions around the world. 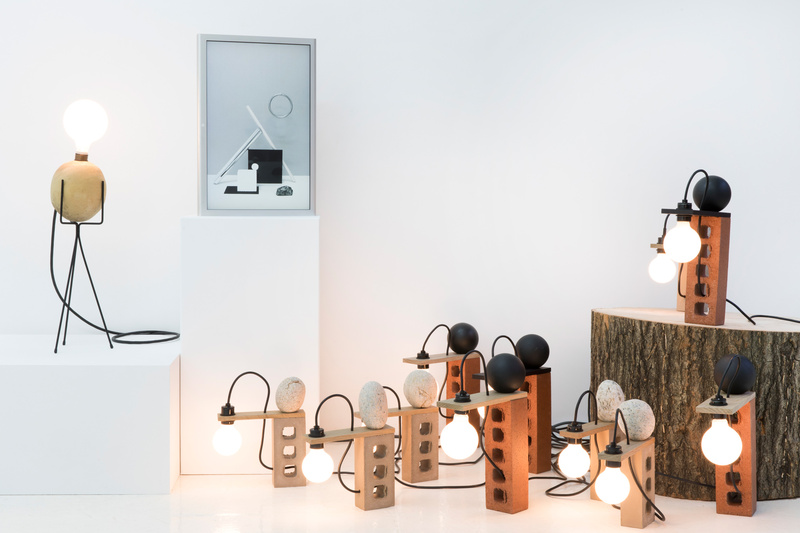 The collective creates projects, products and ideas across multiple formats including: furniture, clothing, video, publications, exhibitions, interiors, installation and printed materials.